What is the cheapest way to get from Celaya to Mexico City Airport (MEX)? 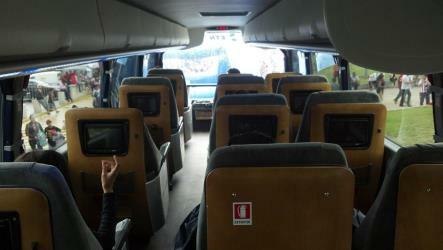 The cheapest way to get from Celaya to Mexico City Airport (MEX) is to bus which costs $454 and takes 4h. What is the fastest way to get from Celaya to Mexico City Airport (MEX)? The quickest way to get from Celaya to Mexico City Airport (MEX) is to taxi and fly which costs $3800 - $13000 and takes 2h 36m. 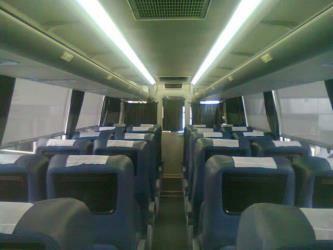 Is there a direct bus between Celaya and Mexico City Airport (MEX)? 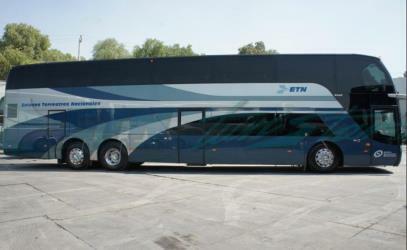 Yes, there is a direct bus departing from Celaya and arriving at Mexico City International Airport T1. Services depart every four hours, and operate every day. The journey takes approximately 4h. How far is it from Celaya to Mexico City Airport (MEX)? The distance between Celaya and Mexico City Airport (MEX) is 218 km. The road distance is 261.1 km. How do I travel from Celaya to Mexico City Airport (MEX) without a car? The best way to get from Celaya to Mexico City Airport (MEX) without a car is to bus via Mexico Central Norte which takes 3h 36m and costs $465. How long does it take to get from Celaya to Mexico City Airport (MEX)? It takes approximately 2h 36m to get from Celaya to Mexico City Airport (MEX), including transfers. Where do I catch the Celaya to Mexico City Airport (MEX) bus from? 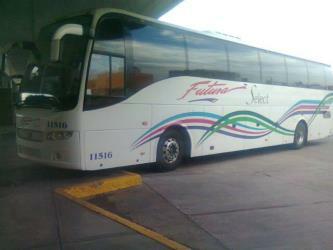 Celaya to Mexico City Airport (MEX) bus services, operated by Primera Plus, depart from Celaya station. How long is the flight from Celaya to Mexico City Airport (MEX)? The quickest flight from Morelia Airport to Mexico City Airport is the direct flight which takes 1h. 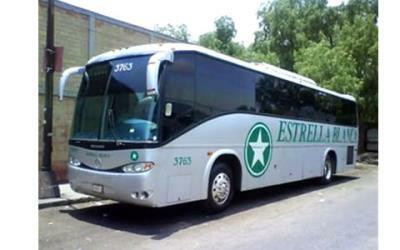 Where does the Celaya to Mexico City Airport (MEX) bus arrive? Celaya to Mexico City Airport (MEX) bus services, operated by Primera Plus, arrive at Mexico City International Airport T1 station. Can I drive from Celaya to Mexico City Airport (MEX)? Yes, the driving distance between Celaya to Mexico City Airport (MEX) is 261 km. It takes approximately 2h 44m to drive from Celaya to Mexico City Airport (MEX). What companies run services between Celaya, Mexico and Mexico City Airport (MEX), Mexico? 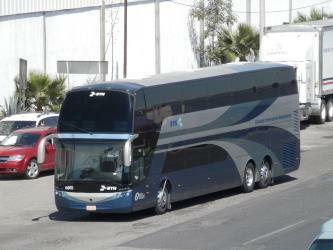 Primera Plus operates a bus from Celaya to Mexico City Airport (MEX) hourly. Tickets cost $460 and the journey takes 3h 20m. Rome2rio's Travel Guide series provide vital information for the global traveller. Read our range of informative guides on popular transport routes and companies - including Heading to Europe? Read this before you buy a Eurail Pass, 5 incredible day trips from Florence by train and Best ways to travel around Australia - to help you get the most out of your next trip. Which airlines fly from Morelia Airport to Mexico City Airport? Aeroméxico offers flights from Morelia Airport to Mexico City Airport. Where can I stay near Mexico City Airport (MEX)? There are 1439+ hotels available in Mexico City Airport (MEX). Prices start at $660 MXN per night. The Zócalo is the common name of the main square in central Mexico City. Prior to the colonial period, it was the main ceremonial center in the Aztec city of Tenochtitlan. The plaza used to be known simply as the "Main Square" or "Arms Square," and today its formal name is Plaza de la Constitución (Constitution Square). This name does not come from any of the Mexican constitutions that have governed the country but rather from the Cádiz Constitution which was signed in Spain in the year 1812. However, it is almost always called the Zócalo today. Plans were made to erect a column as a monument to Independence, but only the base, or zócalo (meaning "plinth") was built. The plinth was buried long ago but the name has lived on. Many other Mexican towns and cities, such as Oaxaca and Guadalajara, have adopted the word zócalo to refer to their main plazas, but not all. The Metropolitan Cathedral of the Assumption of the Most Blessed Virgin Mary into Heaven (Spanish: Catedral Metropolitana de la Asunción de la Santísima Virgen María a los cielos) is the largest cathedral in the Americas, and seat of the Roman Catholic Archdiocese of Mexico. It is situated atop the former Aztec sacred precinct near the Templo Mayor on the northern side of the Plaza de la Constitución in Downtown Mexico City. The cathedral was built in sections from 1573 to 1813 around the original church that was constructed soon after the Spanish conquest of Tenochtitlan, eventually replacing it entirely. Spanish architect Claudio de Arciniega planned the construction, drawing inspiration from Gothic cathedrals in Spain. The cathedral has four façades which contain portals flanked with columns and statues. The two bell towers contain a total of 25 bells. The tabernacle, adjacent to the cathedral, contains the baptistery and serves to register the parishioners. There are two large, ornate altars, a sacristy, and a choir in the cathedral. Fourteen of the cathedral's sixteen chapels are open to the public. Each chapel is dedicated to a different saint or saints, and each was sponsored by a religious guild. The chapels contain ornate altars, altarpieces, retablos, paintings, furniture and sculptures. The cathedral is home to two of the largest 18th-century organs in the Americas. There is a crypt underneath the cathedral that holds the remains of many former archbishops. The Palacio de Bellas Artes (Palace of Fine Arts) is a prominent cultural center in Mexico City. It has hosted some of the most notable events in music, dance, theatre, opera and literature and has held important exhibitions of painting, sculpture and photography. Consequently, the Palacio de Bellas Artes has been called the "Cathedral of Art in Mexico". The building is located on the western side of the historic center of Mexico City next to the Alameda Central park. The National Palace (Spanish: Palacio Nacional) is the seat of the federal executive in Mexico. It is located on Mexico City's main square, the Plaza de la Constitución (El Zócalo). This site has been a palace for the ruling class of Mexico since the Aztec empire, and much of the current palace's building materials are from the original one that belonged to Moctezuma II. Rome2rio makes travelling from Celaya to Mexico City Airport (MEX) easy. Rome2rio is a door-to-door travel information and booking engine, helping you get to and from any location in the world. Find all the transport options for your trip from Celaya to Mexico City Airport (MEX) right here. Rome2rio displays up to date schedules, route maps, journey times and estimated fares from relevant transport operators, ensuring you can make an informed decision about which option will suit you best. Rome2rio also offers online bookings for selected operators, making reservations easy and straightforward. Need a rental car at Mexico City (MEX) airport?